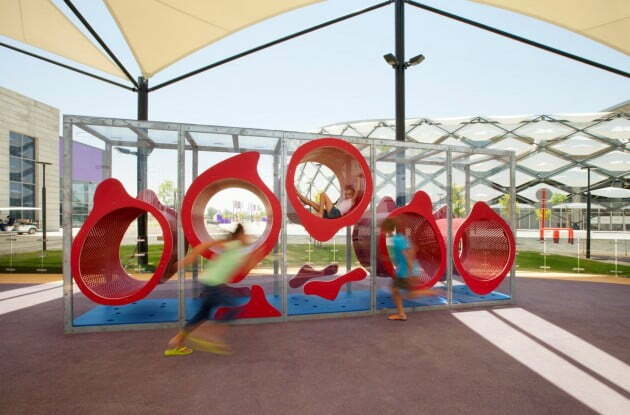 Hazza Bin Zayed Stadium have Interactive Playground in Abu Dhabi by Free Play. Along with the various installed Free Play pieces, playground-goers will also find flooring from London based Pavegen. That lights up as people step on the slabs. 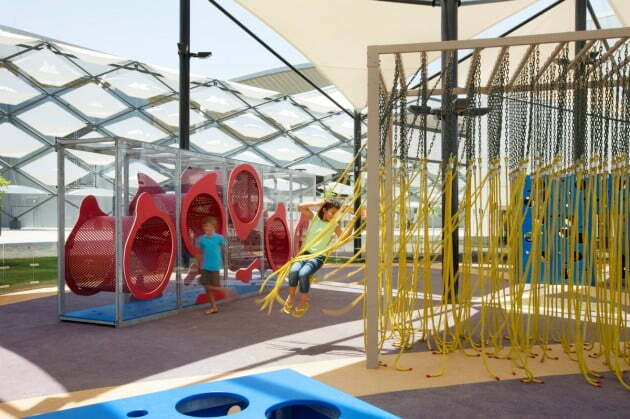 Since the playground is in the desert, the play area will be covered by a structure with a shade shielding adults and children from the sun. I’m terribly excited, says Dan Schreibman. I couldn’t imagine a better location. Free Play, a New Jersey-based creative studio, is making its debut in a big way. At the Hazza Bin Zayed Stadium in the city of Al Ain in Abu Dhabi, United Arab Emirates. 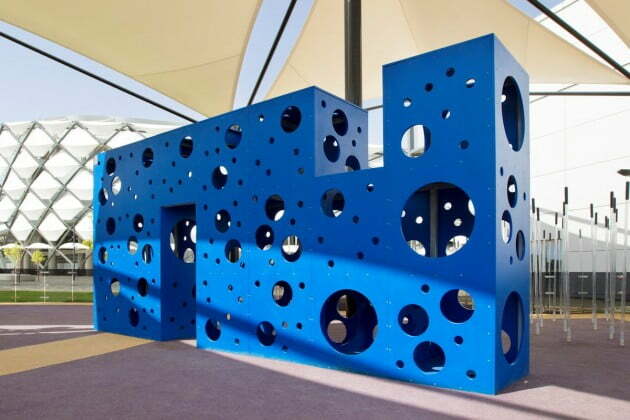 Free Play’s modular, customization playground concept, which engages the senses and imagination of a child. It was selected for a playground installation located just outside of the stadium. 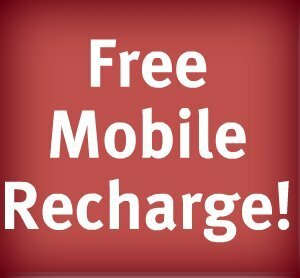 Broadway Malyan, a global architecture and design firm reached out to Free Play founder Dan Schreibman. As the project team searched for state-of-the-art play pieces fitting for this new cutting edge stadium. The UAE is at the forefront of bold architecture and design. And the stadium is a state of the art facility,” says Dan Schreibman, founder of Free Play. This is an extremely high visibility location. Together, Schreibman and Broadway Malyan developed specifications, product selection, placement, and pricing. During that time, Schreibman also started working with BAM International. 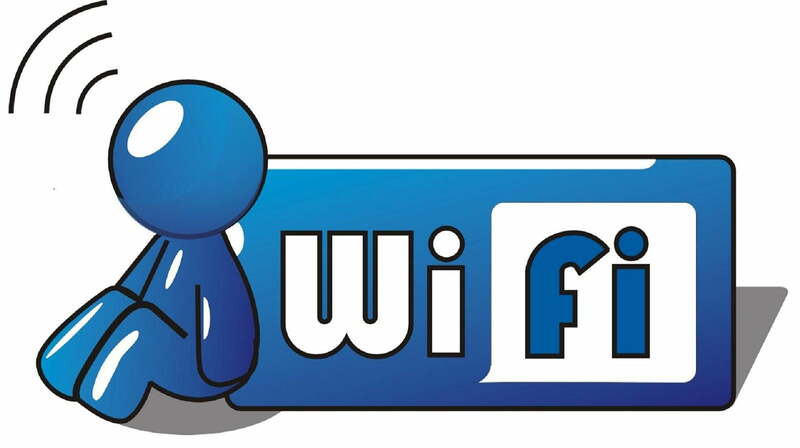 One of Europe’s largest contracting companies on final details for installation, shipment, and layout. Within just eight weeks Schreibman created the final design. That will worked on engineering and testing, and constructed the equipment. Due to deadline, we needed to communicate and respond to each other quickly. And the eight hour time difference makes that tricky, explains Schreibman. The play space, situated in a courtyard surrounded by retail, restaurants, and office spaces, features various play structures. That give children the opportunity to have a sensory experience like no other. 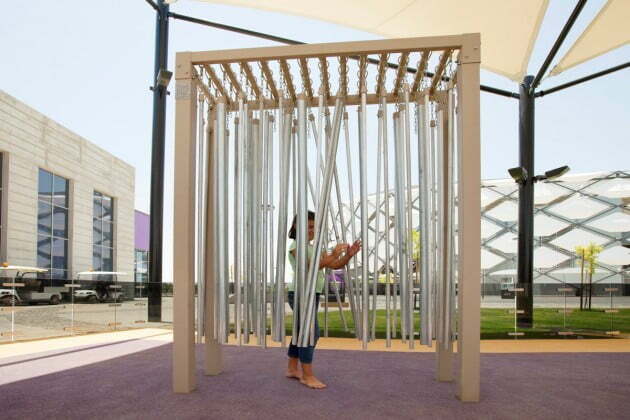 The Maze: Children can engage with two of these structures. 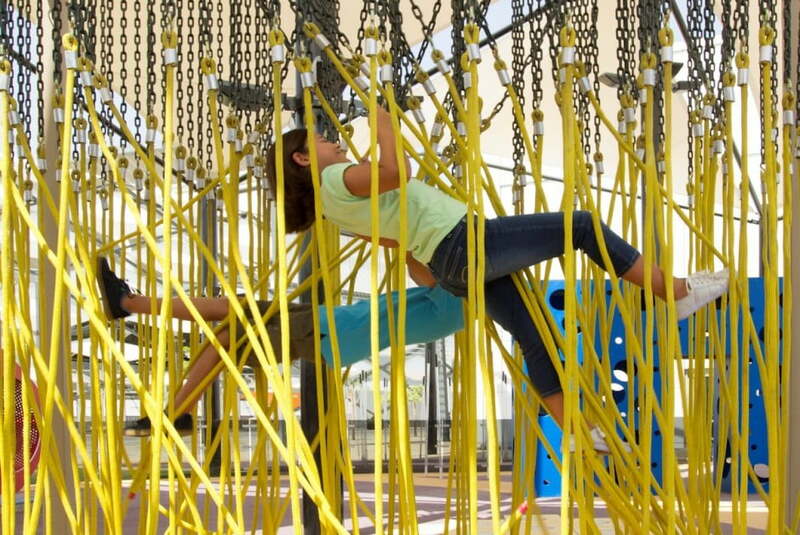 Each comprised of cubes with round cutouts that create a labyrinth to explore on their own or with friends. The Ant Farm: Organic shaped climbing tubes, which appear to float in space. 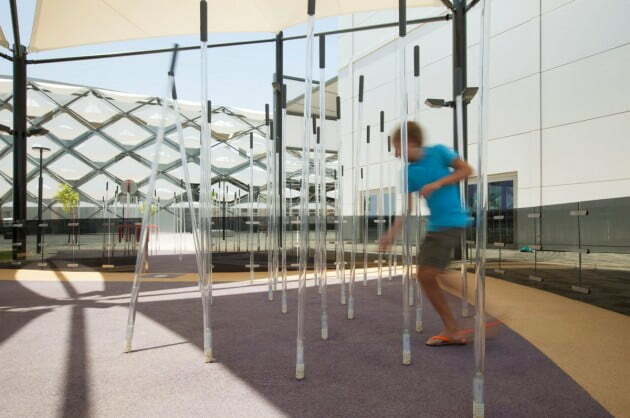 Allow children to climb up sheer walls into the suspended tubes and through invisible structures. The Weeping Willow: The play space features two of these structures: one with steel, aluminum, and bamboo chimes, and the other, with ropes. 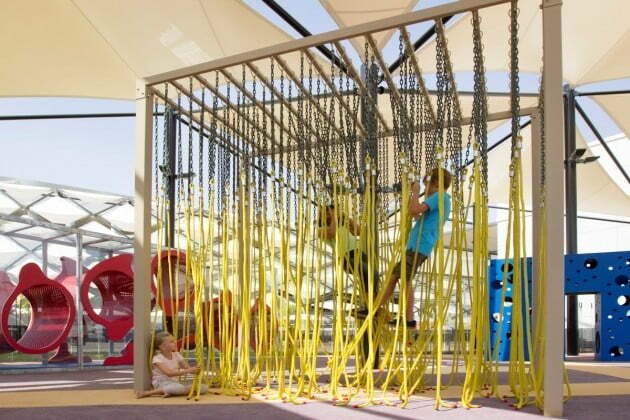 Children can climb, swing, or move through the ropes while the chimes create a beautiful musical experience. The Corn Field: For the stadium’s playground. A 100 corn stalks stand vertically creating a cornfield like environment and when gently touched, respond to contact.